The AIMS team in cooperation with the BigDataEurope Consortium is pleased to announce the webinar “Big Data challenges and solutions in agricultural and environmental research”. It will provide an overview of the role of Big Data in agro-environmental research. It is open for information management specialists, librarians, software developers and other interested people. Agricultural and environmental researchers traditionally work with large data sets and have through time developed their ways to handle scenarios involving massive data. Current developments in ICT and (big) data science potentially provide innovative and more effective ways to do this. However there are numerous barriers and pitfalls, sometimes unknown to ICT professionals, that cause initiatives to be less successful than possible. 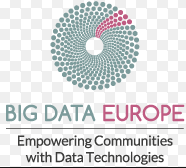 The presentation provides an overview of the current state-of-play regarding the position of Big Data in agro-environmental research, experiences from several projects and a (non-exhaustive) summary of do’s and don’ts and challenges for successfully applying Big Data technologies in this domain. 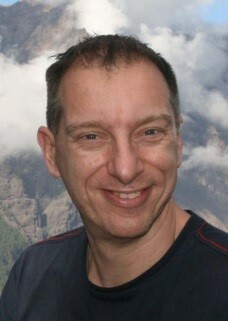 Rob Lokers is a project manager of ICT projects and research infrastructures at Alterra, Wageningen UR. He has a MSc degree in Agricultural Engineering from Wageningen University. Rob has a long year experience in information system design and development in scientific and commercial environments. His expertise is in ICT in science (agriculture, food security, environment), research infrastructures, knowledge technology and agro- environmental modelling. Rob’s focus is on co-creating innovative knowledge infrastructures and applications that advance the level of agro-environmental research by exploiting the possibilities of Big Data and the Semantic Web. He leads projects and work packages in large international research projects and service contracts, e.g. research infrastructure initiatives like the FP7 SemaGrow and Trees4Future projects and knowledge platforms like Climate-ADAPT, the European Platform for Climate Adaptation. Rob is board member of the Dutch Association for Information Specialists in Food and Agriculture (VIAS).